Bioenergy Corridor: How to introduce successfully energy crops? 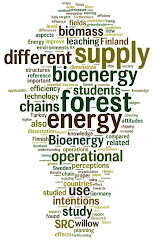 Research on bioenergy, forest governance and education. How to introduce successfully energy crops? How to introduce energy crops and get success? The journal Renewable Energy has recently published our paper on a framework for the introduction of energy crops. 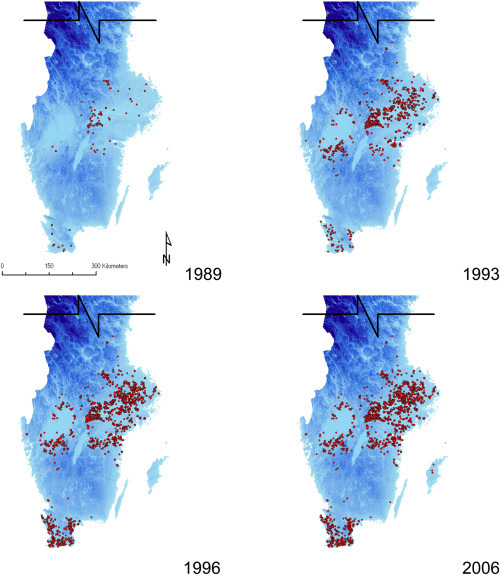 In this paper, we review the different steps linked to the introduction of short rotation plantations in Sweden during the last 30 years, and include a review of our previous work as well as other authors. The final result is a conceptual framework that displays the many inter-relations between different stakeholders as well as policy actors, and provides some ideas about how to proceed when new energy crops are considered. The sources include data from existing commercial plantations, results from experimental plots, the profile of farmers adopting the plantation systems, and a review of existing economic studies on profitability and the policy framework during the period studied. •The paper analyses the introduction of willow plantations for energy in Sweden in 1986–2005. •A framework is presented to identify factors and its inter-relations. •The framework is based on a large pool of data of growers and plantations. •Stable policies and long-term contracts are key elements for success. There is currently limited experience on the introduction of new commercial crops as a source of raw material for energy uses. The present paper analyses the introduction and development of commercial willow plantations in Sweden during the period 1986–2005. A general framework is constructed in order to identify all the factors and interrelations that can describe the introduction and expansion of willow as an alternative crop for the production of raw material for energy. The factors are identified and analysed based on a broad database of information from commercial plantations, covering almost all existing plantations, and on documents referring to existing academic literature or official reports. The analysis provides with lessons that can be useful for the introduction of new energy crops in other countries and shows the possible contradictions in policy applications. The analysis confirms that stable policies and long-term contracts reduce the uncertainties associated with the cultivation. The results of this study can be of value for other countries aiming at the introduction of new crops for bioenergy. The Bioenergy Corridor is a research and education partnership of people who are innovatively interested in opportunities to utilise the productivity of woody species for fuels of sustainable development, the social issues derived from the intensive utilization of natural resources, and the necessary educational efforts that this challenge carries.